The Socorex Stepper 411 Repeater Pipette offers the most comfort in use through its unique trigger action mechanism. 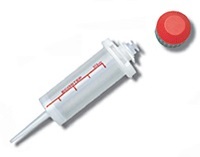 Thumb fatigue is eliminated as it is not designed like a traditional pipette or other repeater pipettes and instead is triggered with four fingers. In designing this instrument great consideration was given to ease of use and comfort, especially for smaller hands. 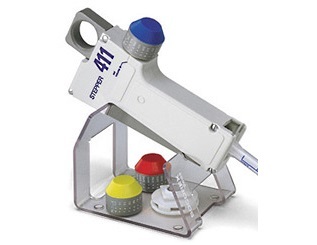 The 411 Stepper is ideal for use where repetitive pipetting is done such as in pharmaceutical science or RIA labs. 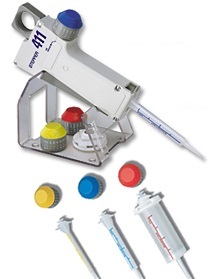 Three color coded Echostep™ syringes matched to color coded knobs give a laboratory up to 53 volume selections and up to 73 doses, covering a range from10 to 5,000 µL. 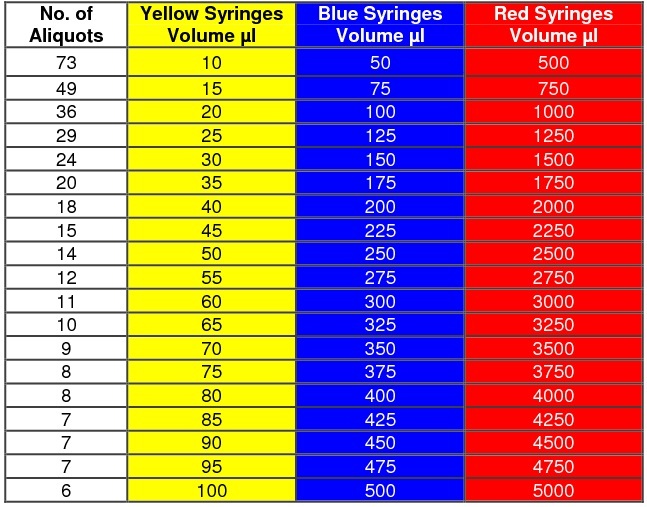 Color coded charts show the aliquots and repetitions. 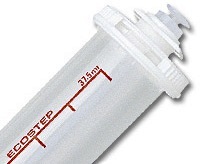 Non sterile Echostep™ syringes are supplied in bulk while sterile bioproof Echostep™ syringes are individually packed and are certified by an independent laboratory to be human DNA, DNase, RNase and pyrogen (endotoxin) free.